Today was one of those days where I hold on to hope, a lot of it. 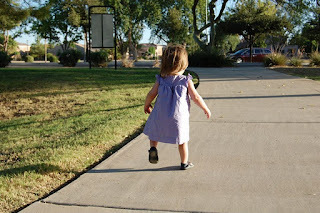 As Zoe is growing - walking, talking, laughing and enjoying life - I always have that dreaded question in the back of my mind, "how will I live without her?" 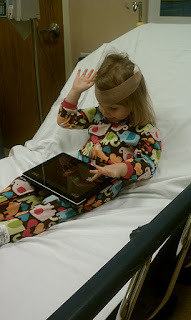 It's a morbid thought, but a harsh reality I've seen so many families face since Zoe entered our lives. Many times I find myself just staring at her, watching her live and breathe. Today was one of those days that I stood in awe of my 18 month old daughter. She's given hope to families who didn't think it possible; she's taught me how to live better - and bigger; she's inspired hundreds to appreciate each day; she's given me an incredible family whom I never would've known. Tonight, I watched a preview from an upcoming documentary. And cried. And cried some more. 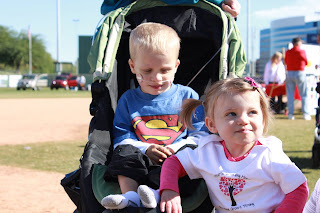 Families with children born with Hypoplastic Left Heart Syndrome all have one thing in common. Hope. We live and breathe Hope. Most days, it's all we've got. If any one person solidifies hope for our family, it's Jeni Busta. Watch a preview from Jeni's upcoming documentary. Be inspired. 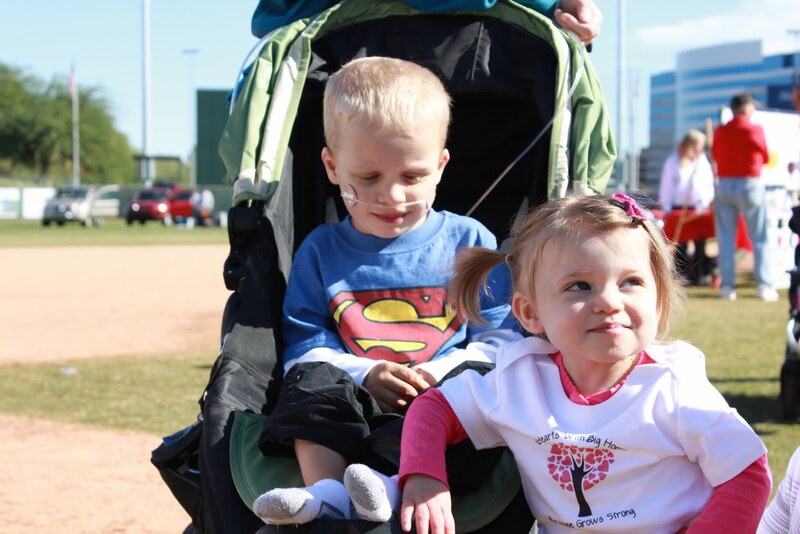 For the past few months, we've been gearing up for the 2nd Annual Phoenix Congenital Heart Walk. Some wonderful friends and family stepped up in amazing ways, gave big allowing Team Zoe to reach (and potentially exceed) our fundraising goal for this year's walk. I wanted to share with you some of Zoe's supporters who took extra time and efforts in fundraising for Team Zoe. Thank you, Tiffany, for requesting donations to Team Zoe in lieu of birthday presents (for your big 3-0)! Thank you, Delany and Kendall for the tremendous and heartfelt support. 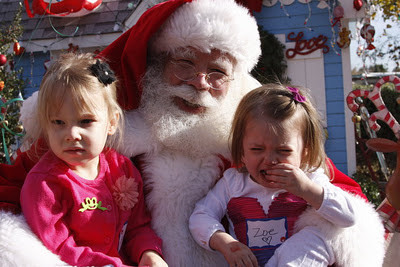 These little girls saved their money and began fundraising efforts months ago. 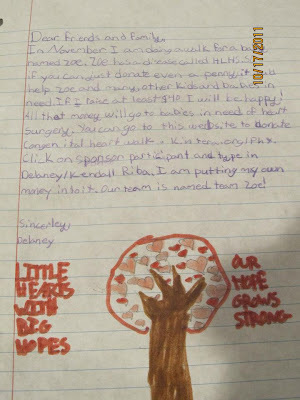 Check out the letter Delany wrote to her friends and family! Thank you, Erin, for hosting a very creative fundraising event. 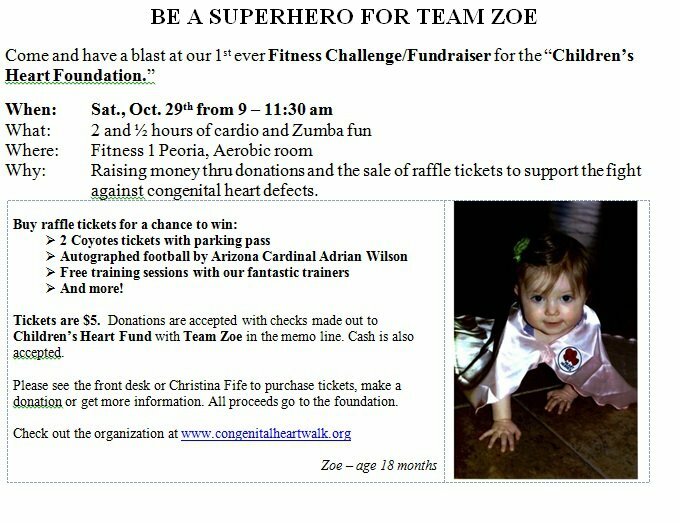 For those of you in the Northwest Valley, please stop by for some Zumba and raffle this Saturday. Tiffany, Delany, Kendall and Erin are just a few of the hundreds of Team Zoe supporters. We've been so blessed by the kindheartedness and generosity of others. We love and appreciate each and every one of you! 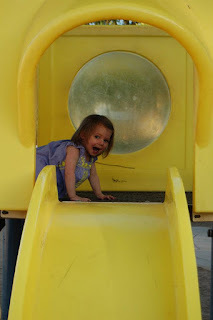 For those of you not on Facebook (yes, there are a handful of you...), I couldn't preclude you from seeing these amazing pictures of Zoe - UNLEASHED at the park. We learned a few things during this impromptu park stop. 1) Zoe is NOT a fan of ducks - at least not when they are up close and personal. 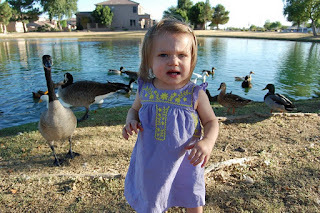 She "quacked" at them from afar, but get up in her grill and she's terrified. 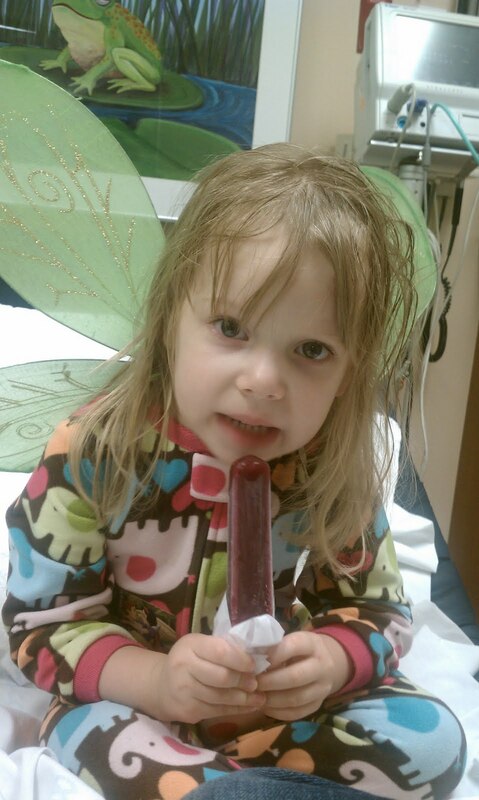 2) Zoe apparently picked up on her mom's germ-a-phobia, which frankly, is fine by me! O.C.D. Away, Zoes! 3) Zoe LOVES the slide. 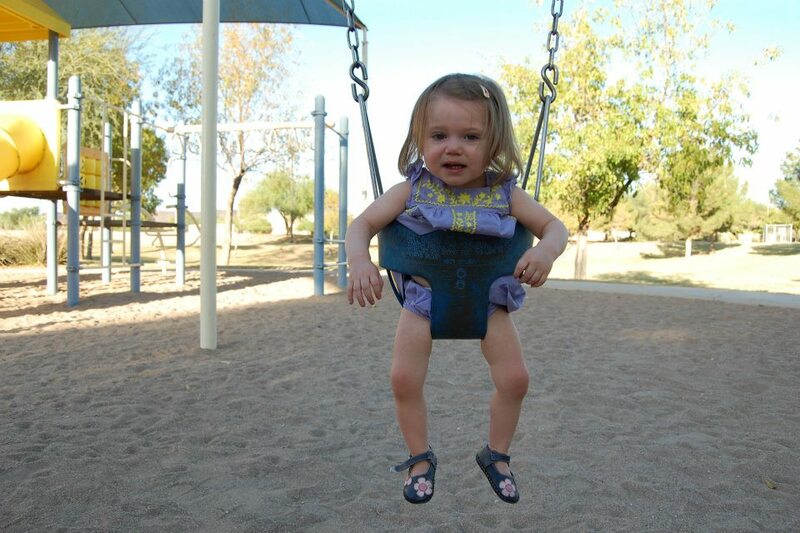 4) Zoe is quick on her feet! All she wants to do now is walk "oweside". Each day, I fall more and more in love with this little girl. She's more than inspiring, more than a miracle. 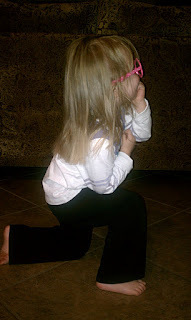 It's hard to explain but I'm bursting at the seams with love and pride for my little Zoes. Well, we're getting close to Fall weather here in Phoenix. Last weekend, it cooled off enough for the Lihns to get outside and enjoy (or at least attempt to enjoy). 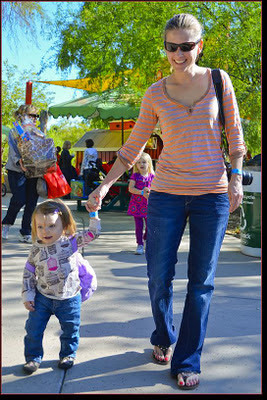 On Saturday we had a great time (minus the horrendous tantrum in front of the giraffe display) at the Phoenix Zoo. 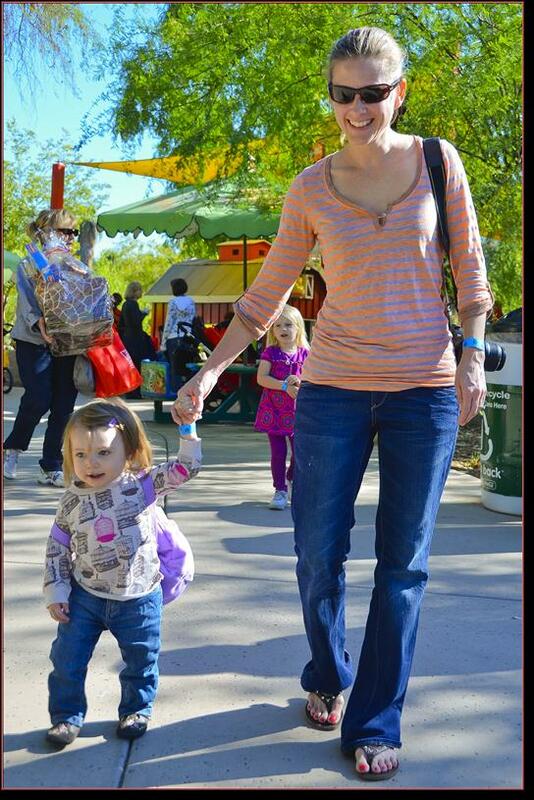 Apparently after breakfast with Dora and riding the carousel, there was no point in being at the zoo. Zoe had a blast exploring. She's becoming so expressive and loves being out of doors. She's making up for lost time! 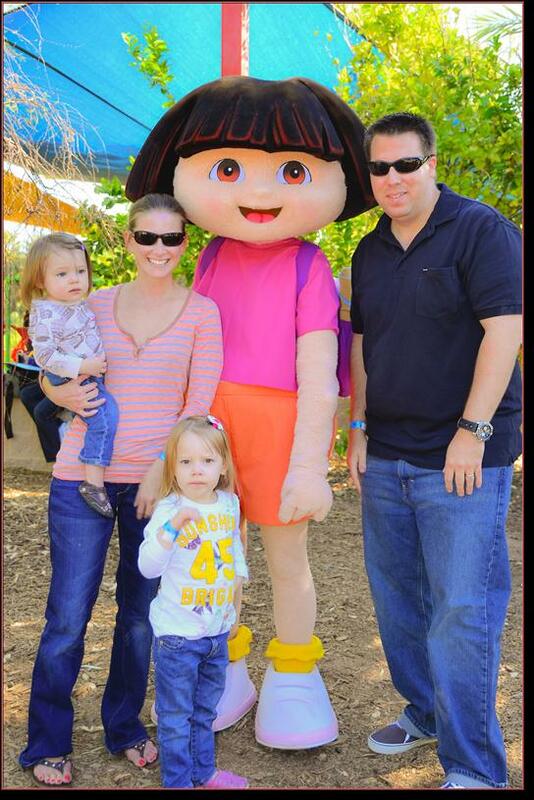 Dora was much taller than Caleb and I remembered from our encounter at Universal Studios earlier this year. I guess it's true, kids really do grow up fast! 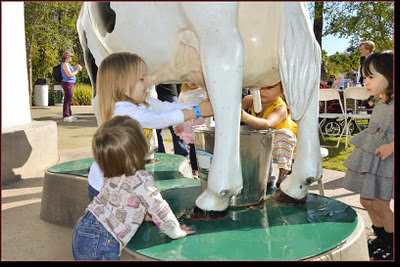 On Sunday, we took the girls to Schnepf Farms. There was so much to do (too much really), and the girls took it all in. 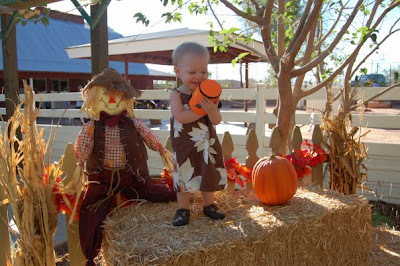 Zoe quite enjoyed picking out her pumpkin. Oh, the expressions on this little girl's face - all within a matter of 5 seconds! I intentionally dressed the girls in the same dress so I could compare just how different my littles are! Take a look-see! 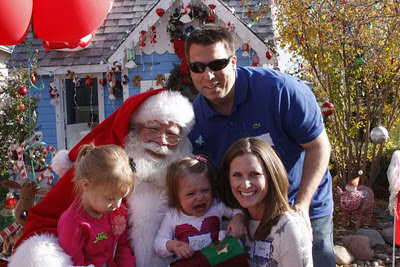 And one family photo which of course the girls refused to look at the camera. 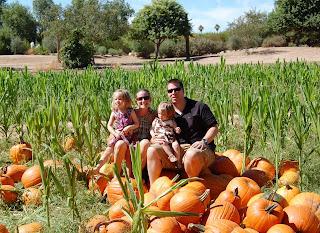 They were mezmorized with the field of pumpkins!